For those of you who have been reading here since the beginning, you may remember a moment that - in hindsight- I can now pinpoint as a turning point in my life. I was riding a "wave" that crested and released me to an inward journey that I am only now just resurfacing from. This life-altering moment included a phone call and a few words that rocked me to my core and continued to rock me for years to follow. My mother, whom I hadn't spoken to for several years, had passed away. She was gone. And now I had to figure out how to let go. For me, the grieving process was magnified. It wasn't just a process of grieving the loss of my mother, It was also a process of letting go of all of the wishes that I had for the past, present, and future. It was grieving the relationship that I wished we would have had. It was grieving her absence for the milestone moments in my life that I wish she would have witnessed. It was a painful all-encompassing process, that has forever changed me. It took years for me to find my way back to a place where I felt confident and fully present in my own life again. To "resurface", and truly feel like myself. 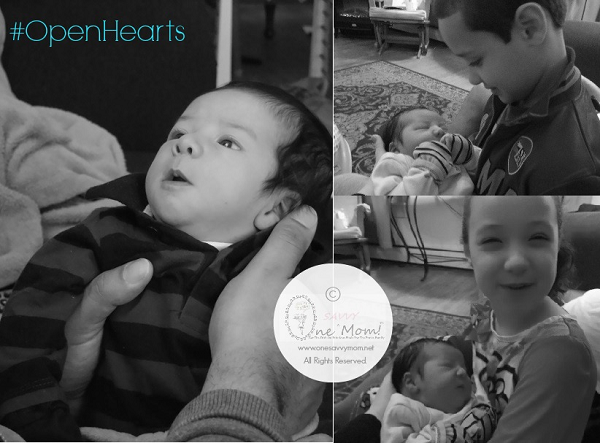 After welcoming our 3rd child a few weeks ago, I've found myself reflecting on the last few years and the "waves" that my family has experienced. I also find myself pausing in moments of deep gratitude for the revival that this perfect miracle has brought to our lives. Life truly is like a wave. Small daily victories and cherished milestone moments build, crest and ultimately release us - only for the process to begin again. Some "waves" build for years and others, in the blink of an eye. We have to cherish every moment of the ride though, because there is always something to be gained from each phase. Jane Seymour and Kay Jewelers have artfully brought this concept -and the beauty of the wave to the Open Hearts Waves by Jane Seymour™ Collection (exclusively at Kay Jewelers). I have been wearing the gorgeous sterling silver Open Hearts Waves necklace with blue and white diamonds (pictured left) for the past few weeks, and I absolutely adore it. This is such an incredibly versatile piece of jewelry and it pairs nicely with just about everything. This necklace is such a meaningful piece too. It truly has served as a daily reminder for me to embrace the "waves" of life, because there really is something meaningful to be gained from each phase. Keep an eye out for more on the Open Hearts Waves by Jane Seymour™ Collection over the next few weeks and a super special Google + Hangout with Jane Seymour later on in the month. 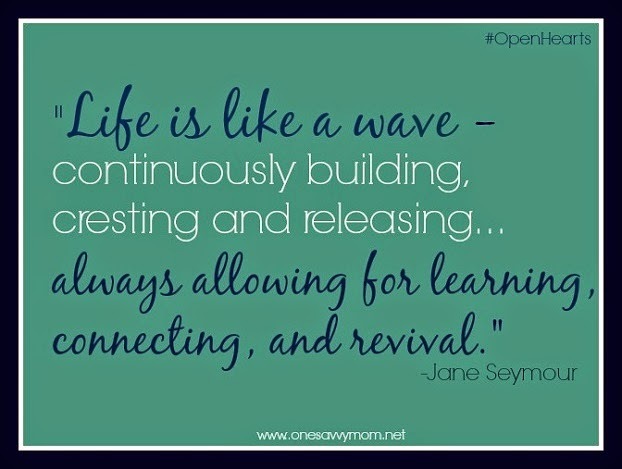 For more on the Open Hearts Waves by Jame Seymour Collection or to purchase the item featured visit http://www.kay.com . 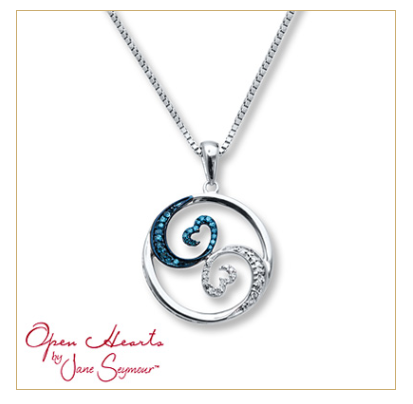 You can also find the Open Hearts Waves by Jane Seymour Collection at Kay Jewelers retail locations nationwide. Disclosure: **We received the featured product for participation. All thoughts and opinions expressed are our own.